Janjic, on the campus of Duquesne University. 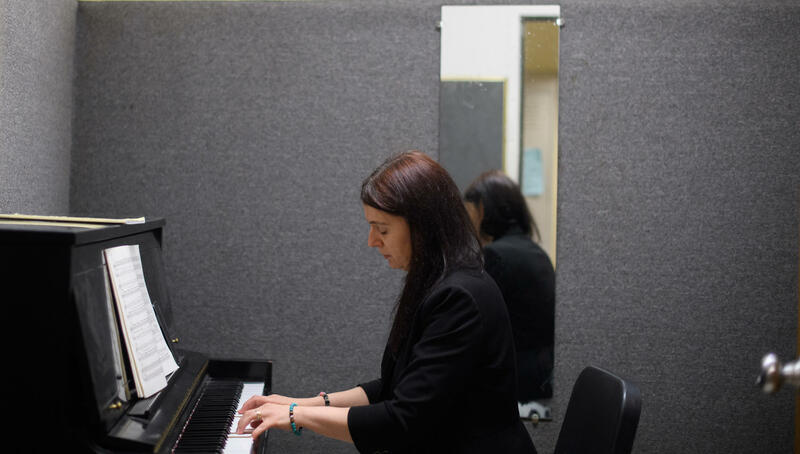 Janjic found that playing the piano didn't make her pain go away completely, but it eased the pain she felt. 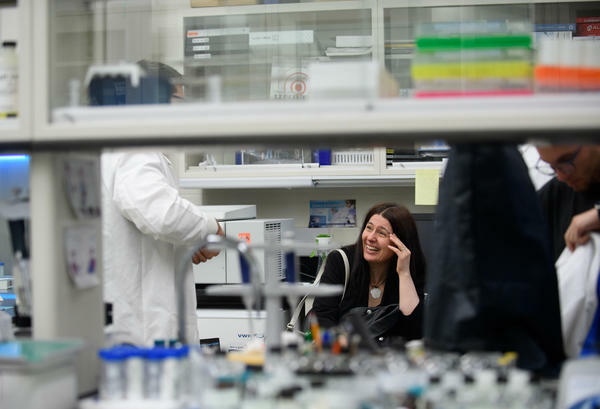 Jelena Janjic, a pain researcher at Duquesne University in Pittsburgh, is exploring nanotechnology to deliver non-opioid pain medications directly into cells. 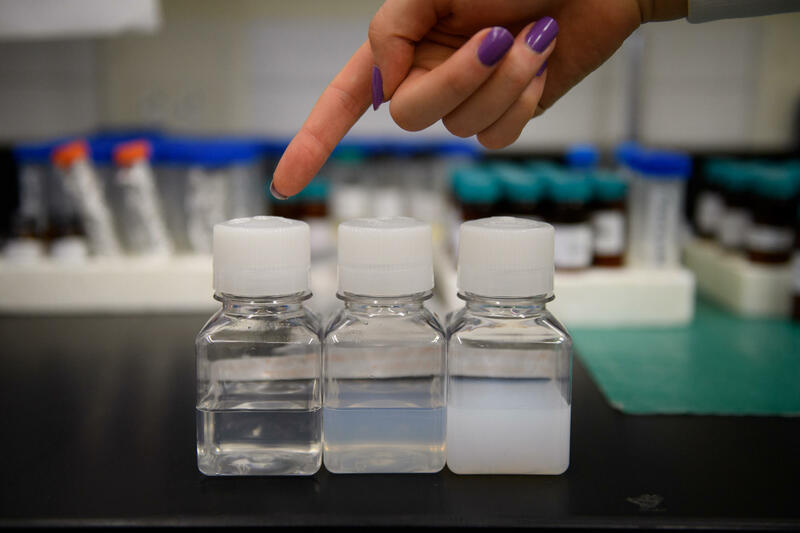 Janjic's idea, which draws from the field of cancer research, is to insert tiny amounts of over-the-counter pain medications into minute carriers called nanoparticles, and then inject these into pain patients. The medicines would then travel through the body to places where there is inflammation, and relieve the pain. Janjic has a special reason for wanting to develop new medicines for chronic pain: She suffers from it herself. "As a patient, I want an answer," she says. "I want to figure out this." There's no question that the need for better, non-addictive medications is real and urgent. Researchers have come up with some ideas, but so far none has made it to market. Finding new treatments is difficult for any disease and it's proving especially difficult for chronic pain because the underlying causes are poorly understood. Attempting to modulate inflammation as way to treat pain "is an active area of research," says Michael L. Oshinsky, Program Director, Pain and Migraine, at the National Institute of Neurological Disorders and Stroke. Oshinsky says Janjic's idea of targeting the immune system with nanoparticles carrying pain relievers makes sense, although he cautions that the relationship between inflammation and pain is not well understood. Janjic's path to this research began in 2010. She has a doctorate in medicinal chemistry, and she had recently moved to Duquesne University where she had set up a lab focused on using nanomedicine techniques to treat cancer. What seemed like out of nowhere, of the blue, she started to suffer bouts of severe pain. "The one that hit me real hard was the whole body, from head to toe," she says. "I've had on and off chronic pain since I was a teenager, but this was different." In August that year, just before her students arrived back to school, she ended up in the emergency room with pain that was almost intolerable. The doctors' diagnosis was discouraging. They told her she had a chronic pain syndrome. They said there wasn't much they could do about it, and they said it was for life. The medicines they gave her helped with the pain somewhat, but left her feeling like she was living in a fog. She was having trouble remembering things, trouble taking notes. "Things were weird. So I decided I am going to do research on myself," Janjic says. To control her own pain, she turned to mindfulness meditation and other non-medical interventions, including composing music and playing the piano. It's not as if the pain magically went away, she says, but she was able to carry on with her life. Some days were worse than others. But she also wanted to find a medical solution. She made one important treatment decision early on: She didn't want to take opioids for her pain. "At the time I could have got them very easily," Janjic says. "I said, 'What are you going to give me when I'm 67, or 87, if I take them now?' I knew they don't work long-term very well. So almost the refusal of opioids precipitated everything else that happened." Looking for alternatives to opioids, she dove into the scientific literature, to learn all she could about chronic pain. Chronic pain syndromes are not well understood. With acute pain, it's usually possible to identify the cause—an injury of some sort, or inflammation caused by an infection. Chronic pain may be linked to an initial mishap, but may persist long after the initial cause of the pain has disappeared. Sometimes there's no good explanation of the pain at all, a frustrating circumstance for both doctor and patients. 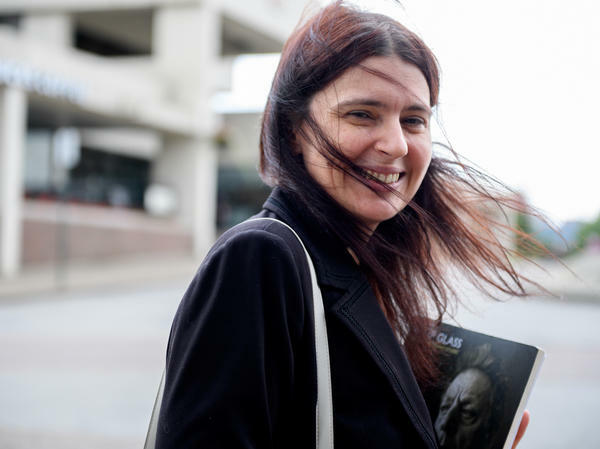 In addition to her research, Janjic started paying close attention to her own condition. "I started to understand that my body was actually inflamed," she says. Inflammation occurs when our bodies' immune system tries to deal with some damage, maybe from an invading virus or bacteria, and sends a barrage of immune cells to the affected area. On the one hand this is a good thing, since the cells fight the infection. But on the other, it can stimulate nerve cells in a particular part of the body, causing pain. Janjic also noticed something important about her pain: it varied both in intensity and in location. Sometimes it was in her knees, sometimes in her shoulders. She says none of the medicines available today responded to pain's "diversity within the body." "I [started] to understand the fluctuation," she says. She realized that the fluctuation meant more immune cells were going to the part of the body where the pain was. She figured if she could get pain medicine into immune cells, that medicine would ride with those cells to where it was needed. Before she got into pain research, Janjic was working on something called cancer nanomedicine. Cancer nanomedicines work by putting anti-cancer drugs into tiny containers called nanoparticles, and then injecting them into cancer patients, where they enter the patients' immune cells. "So what did I already know how to do? Mess with the immune system with nanomedicines," Janjic says. "And that's how the idea of pain nanomedicine was born." After many years of tinkering, she's started to get positive results. In a recently published study, she showed that when researchers put a nonsteroidal, anti-inflammatory drug into a nanoparticle, and then injected that into a rat, it reduced the rat's pain. Janjic says her approach doesn't try to disable the immune cells. "You still want them to fight infection, you still want them to do what they're supposed to do," she says. "But we almost try to stop them from going into override and causing chronic pain." Janjic, who is also the founder and co-director of the Chronic Pain Research Consortium at Duquesne University, is collaborating with several labs to try pairing different pain medications with different kinds of nano-particles to see what works best. So far progress is slow. And if one of the candidates shows real promise it will be years before anything can be tested in human patients and ultimately approved by the FDA. Janjic credits her own experience with pain for helping her gain a better understanding of pain and how to treat it. She thinks researchers would learn a lot from routinely talking to the people they're trying to help. "My take home message is, 'Ask the patient first,' " Janjic says. "Ask the kid who's ten. Ask the grandpa with rheumatoid arthritis what that feels like. This is what I really want to see flourish. Maybe this already happening somewhere. If it is, I want to know. If you are inspiring your research this way, then I want to talk to you."